This dog shampoo, friends, I’m telling you. So dang good. Lola and Rio were softer, smelled better, and seriously…smelled better for days (versus the typical first few hours after a bath). I’m a pretty harsh critic and won’t ever give a product five stars just because I’m doing a review. That’s not fair to my readers…or the brand. I had the pleasure of trying out Isle of Dogs’ No. 20 Volumizing Shampoo with Royal Jelly and the No. 50 Light Conditioner with Evening Primrose Oil. Sounds fancy, huh? It is. I promise you your pup will be softer than ever and smell amazing after using this combo of shampoo and conditioner. And if your pups are anything like mine, I’m constantly kissing their little heads, cuddling them, and so forth, so it’s nice when they’re clean and smell amazing. While I’m not concerned about the need to “volumize” my two pitties, this shampoo seemed to clean incredibly well and I followed with the amazing conditioner with primrose oil (which smells a bit like laundry detergent IMO), and I can’t keep my nose out of their coats. 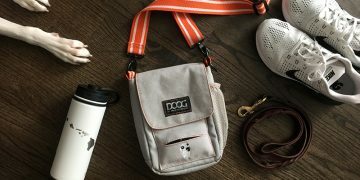 I encourage you to hop on over and explore the Isle of Dogs website – I love that they offer a wide range of grooming products (and more!) which cater to a variety of different coat types and needs. 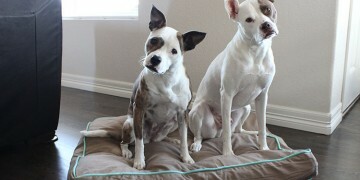 Oh, and we can’t forget about Lola and Rio’s favorite part – the cherry soft & chewy joint treats. Lola tends to swallow her treats whole, so I have to be really careful about giving her hard, crunchy treats. Soft treats though…she chews. She’s a strange one. I love these treats because of the quality ingredients and the addition of glucosamine and chondroitin to help support joint and bone health and reduce inflammation within the joints. Then there’s the odor neutralizer spray. This replascent spray is great and smells refreshing without being overpowering. Violet + Sea Mist? Yes, please. 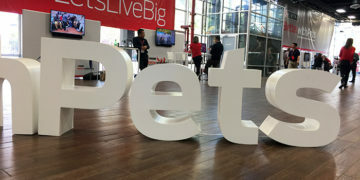 I’ve primarily used it around the house, but repláscents offer an alternative to perfume and home sprays, which are not safe for application directly on your dog’s coat, while this spray is safe for your pet. “The most affectionate creature in the world is a #wetdog ?” -A.B. Onto the best part…the giveaway! I’m so excited to have teamed up with Isle of Dogs for this gift basket giveaway featuring all of the goodies pictured above (only your very own brand new bottles of course). To enter? Simple. Use the widget below, cross your fingers and paws, then stay on the lookout for a “congratulations!” email. This is a sponsored post for which I received compensation in exchange for writing this review and giveaway. Although this post is sponsored, all opinions are honest and my own. 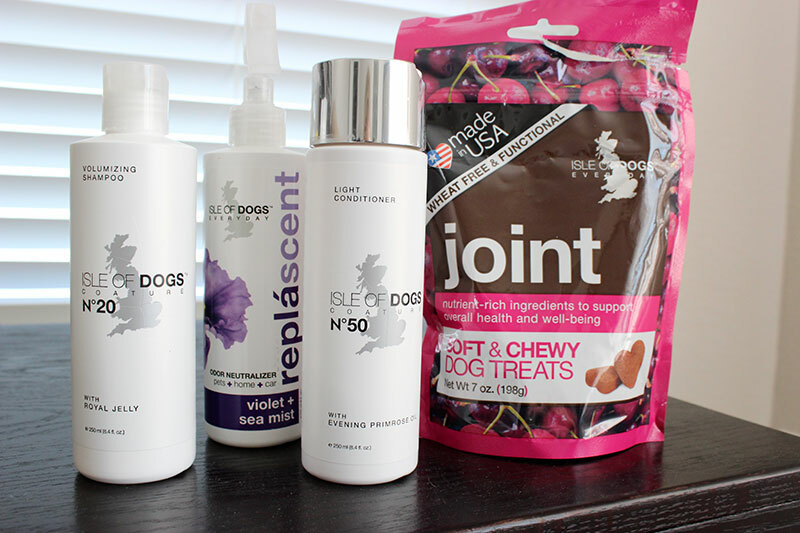 Great shampoo, conditioner, spray, and treats made in the USA with quality ingredients and added benefits for your pup. You will love this stuff!